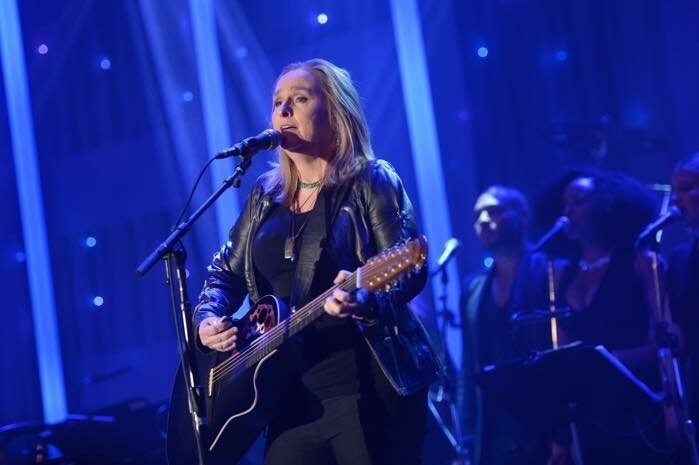 Tash Gunawardana interviewed two-time Grammy and Academy Award winner Melissa Etheridge who is currently on tour in Australia with Sheryl Crow. Etheridge has been in the music industry for 30 years and she said, “I am still in love with performing. I am still in love with sharing music with an audience. I still love the travel, the getting to see people and getting to new places. The award - that’s all fine and good - but the real stuff is in the journey everyday. Writing new music, performing the old hits and just loving it all." AFL fans and media have embraced Etheridge, since her tweet on Easter Saturday about watching Australian football for the first time (the Collingwood Vs. Greater Western Sydney match). Etheridge did not know at the time her tweet about AFL would attract so much attention from the footy world. From the result of this, Channel Ten’s “The Project” TV show had her and Sheryl Crow on - Fox Footy had her on AFL360 and a number of AFL teams have met with her. Despite having a lot of interest from AFL teams to get on board with them, Etheridge is still yet to choose a team to support. “I have a little affinity to the Crows, they were the first ones," Etheridge said. 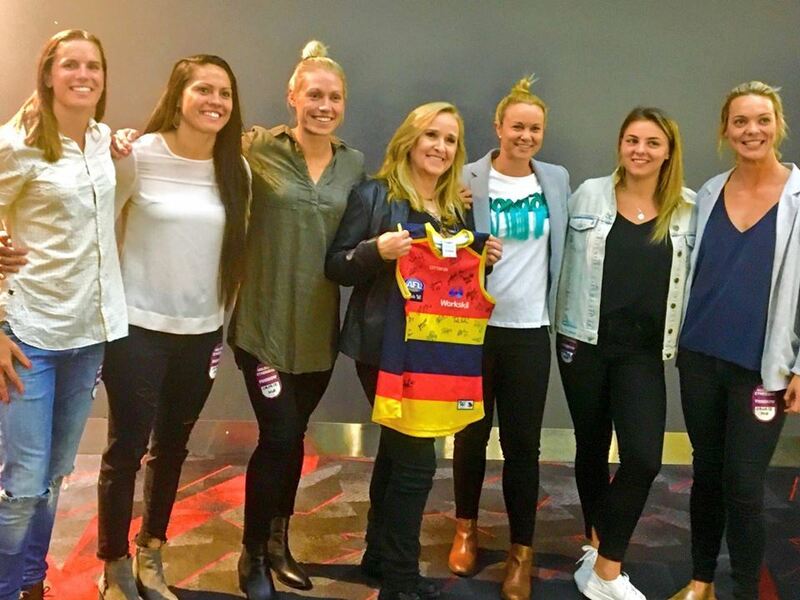 "The AFLW [Adelaide] Crows came to me and gave me a jersey so they were just the first, but tonight I’m meeting the [Melbourne] Demons. "I’ve got a [Western] Bulldogs jersey. Etheridge's decision to choose a team to support has been made harder. “I have been cornered by a few teams and so I really don’t know, One needs to throw her allegiance but suppose I am still thinking, how about that," she said. When asked what she loves most about Australian Rules football. “I love the athleticism," Etheridge said. "I love that it requires you to be a runner and a kicker and to be able to catch and be precise. "All those things and the kicking and in knowing where to be, I love the strategy of it all. "I also love how much Australian’s love it. In the last week I have heard from fans from every single team. "It’s just so great, I just love how important the team is to the fans. Etheridge believes the rest of the world could get hooked on Australia’s game of football if they gave it time and the world needs to get out of their soccer head and the NFL. If they give it time, they will be able to see the “swiftness and just the precision of it. It’s quite thrilling. I do think. I wasn’t a fan of soccer either, but this is like the best of American football and soccer combined," she said. Etheridge would love to become an AFLW ambassador and lend her voice to the women and girls playing footy. She is truly passionate about being this voice in women’s footy and she will be the perfect person to promote women’s footy in Australia and internationally. “I love how young girls growing up these days can see strong women who are dedicated to teamwork and who are fulfilling their dreams, that’s what young girls need to see their choices and excitement in life pushing yourself to greater goals," Etheridge said. Etheridge has loved the way AFL fans and media have fallen in love with her own newfound love of Australian Rules football. She would love to come down to Australia again to watch the women’s footy and men’s footy finals, as she now absolutely loves our game. “I really have enjoyed the whole footy culture down here," she said.